The seminar offered: an eyewitness’s account of what had happened in Guangdong province, a neighbouring Chinese province to Hong Kong in the early 1990s. Guangdong succeeded in changing its mode of operation from socialism to capitalism. This presentation proposes to see the experience of Guangdong not as a model but as a process, which deserves systematic attention. The presentation may discuss the status of Hong Kong in the early 1990s, which may have particular relevance to the UK’s future pathways due to Brexit. Dr. Wei Shen has over ten years working experience in China’s development finance sector. He has been employed as a senior lecturer at China Three Gorges University (CTGU). 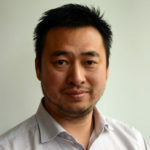 He currently works at the Institute of Development Studies as a fellow in the Green Transformations cluster and a member of the Centre for Rising Powers and Global Development, with current research into the political economy of China’s low-carbon transformations with particular focus on China’s rising business actors’ influence in low-carbon policy process and its impact on local, national and global climate governance. Yoshifumi Nakai has been teaching Chinese Politics and International Relations at the Department of Political Studies, Gakushuin University, Tokyo, Japan since 2003. From 1997 to 2003, he was Senior Researcher at the Institute of Developing Economies. He served as Cultural Attaché at the Consulate General of Japan in Hong Kong from 1991 to 1994, and Senior Researcher, Center for Asia- Pacific Affairs at the Japan Institute of International Affairs from 1994 to 1997. He has received a Ph.D. in comparative politics at the University of Michigan, Ann Arbor.